remember how i told you that i'm taking a silkscreening class at sfai? 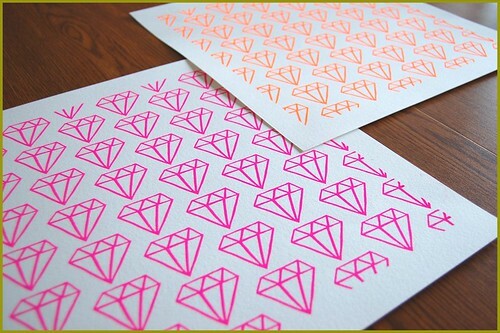 and that i pulled a print of diamonds as a test print a few weeks back? well, i made a few prints on arches 100% cotton paper with fluorescent pink and orange inks the week after that. they are fun. here they are!